Where to go if you are a beginner looking to take your first steps, an intermediate trying to crack a gybe, or expert looking for high-wind fun. Together with the sunshine and sea, many Greek islands have something else: wind, and plenty of it. Throughout much of the summer (particularly July and August) the stiff northerly meltemi wind blows through much of the Aegean regularly reaching 7, 8 and even 9 Bft. Of course most holiday-makers seek to avoid the howling gale, taking refuge in sheltered bays from that bane of beach hats and umbrellas, that thief of newspapers and cheap rubber inflatables. But there are others who actively seek out the most windswept corners, whose pulses quicken at the sight of whitecaps. They are the windsurfers. 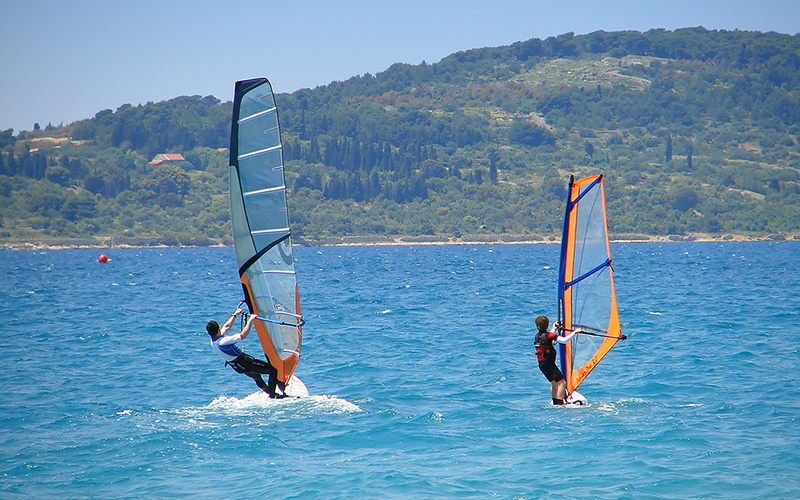 Windsurfing has long been popular in Greece particularly during these windy summer months. And while it might seem a particularly demanding and extreme sport, it is a lot more accessible than you might think. Recent improvements in beginner boards and sails mean that, with only a few lessons, you can begin to cruise around the bay at increasing speed, powered by only the wind in your sail. But where to go? Fear not, because we here at Greece Is have put in the research and now present to you the top 10 destinations with windsurfing clubs – places where experts can rent equipment and beginners can take their first tentative steps out on the water. 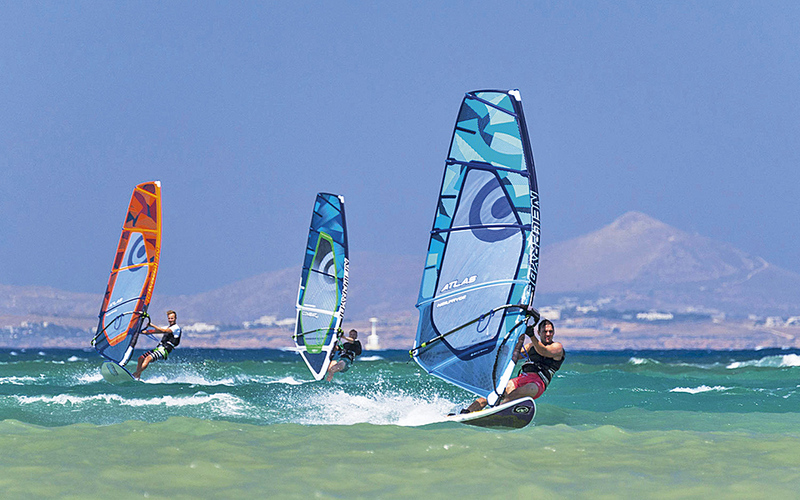 Naxos is among the most popular windsurfing destinations in Greece. The island is right in the firing line of the meltemi winds which create the ideal conditions for the sport during the summer. Along the west coast of the island, beaches like Aghios Prokopios and Plaka, offer good side-shore conditions and a selection of surf clubs. 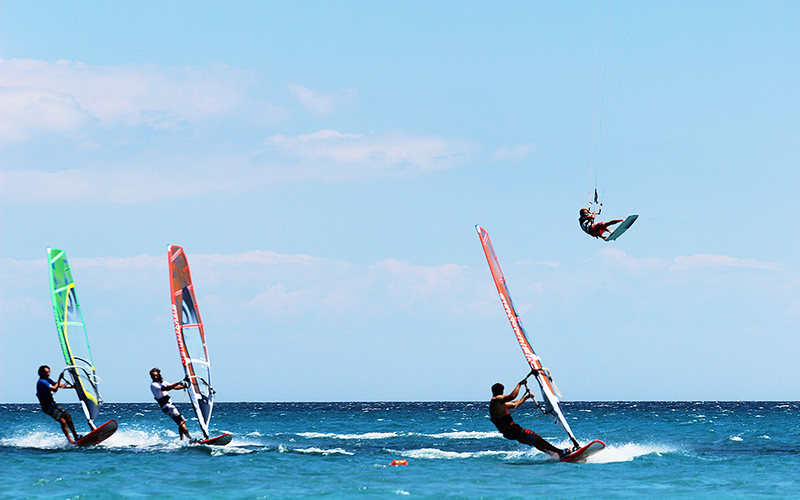 Some of the best windsurfing is actually located right next to Naxos’s main town near the beach of Aghios Georgios. Thanks to the geography of the shoreline here, one finds conditions suitable for both beginners and experts alike. In one area a lagoon is created by a shallow reef creating a perfect flat-water training ground for beginners and intermediates to gain confidence. The more experienced can head out beyond the reef where they can play in biggish waves whipped up by the strong and steady northerly winds. A number of surf clubs operate here including Naxos-Surf and Flisvos Sport Club. As well as beginner lessons, the latter also has a premium center, offering advanced lessons. The training program costs 215 euros and lasts 3 days, at the end of which VDSW licenses are awarded. Just like its neighbor, Naxos, Paros gets the full force of the meltemi winds in the summer and the island has long been at the epicenter of windsurfing in Greece. In particular the beaches of Golden Beach and New Golden Beach attract the most surfers where a number of clubs operate. 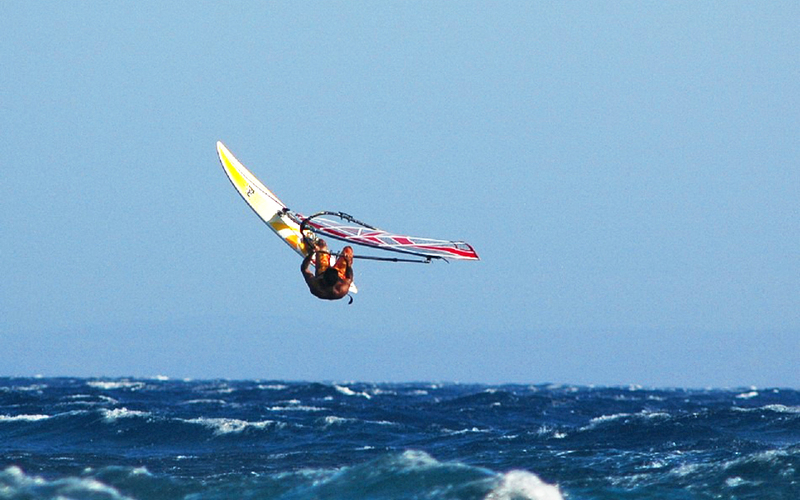 The bay of Santa Maria to the north is also a popular windsurfing spot. Paros Surf Club at New Golden Beach is one of the longest-running clubs in Greece having opened 33 years ago. 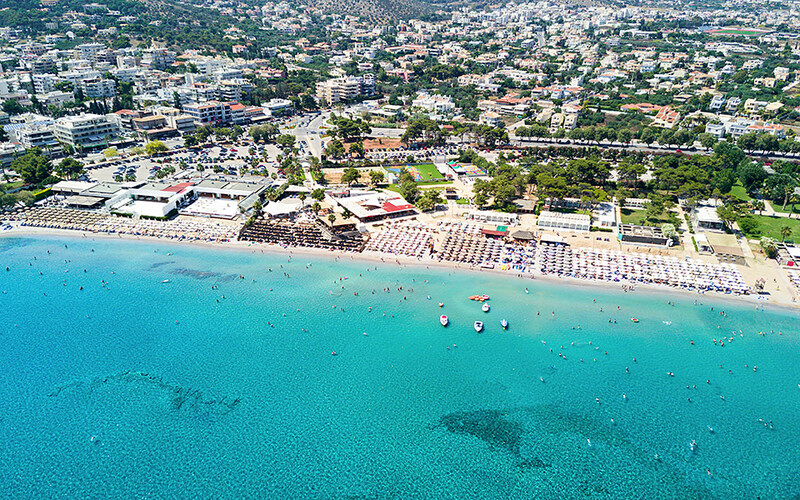 From 1992 to 2000 the club hosted PWA (Professional Windsurfing Association) World Cup events, a fact which helped turn the beach and the club into one of the hottest windsurfing destinations in Greece. 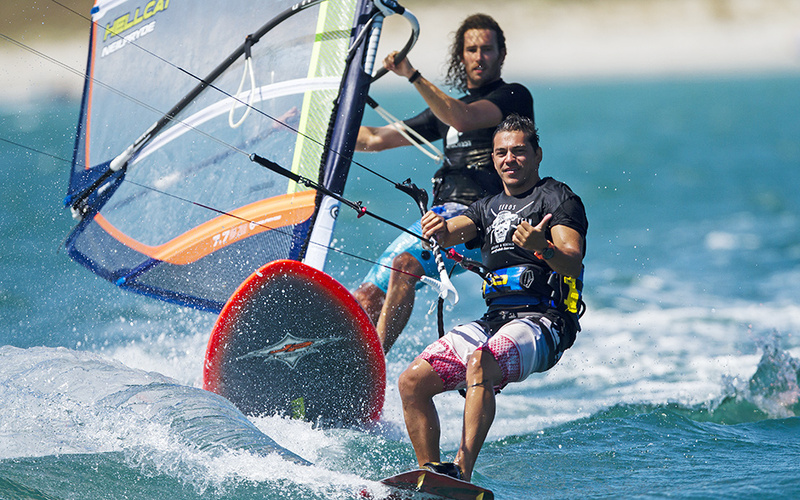 Club head Nikos Papanikolaou and his experienced team offer top quality training to both beginners and more experienced windsurfers, with lessons offered in English, French and German. Featuring top-of-the-line equipment, the club offers a range of training and gear rental packages ranging from 60 euros per day to 300 euros for a week. Another highly popular destination for windsurfers and kitesurfers alike, the island also has the advantage of having an airport with flights from a wide range of international destinations. Prasonisi, on Rhodes southern tip is probably the most famous windsurfing location for more experienced surfers, featuring some of the strongest winds. Theologos, Lalisos, Ixia and Paradeisi are all also good options with a number of windsurfing clubs offering lessons for all ages. 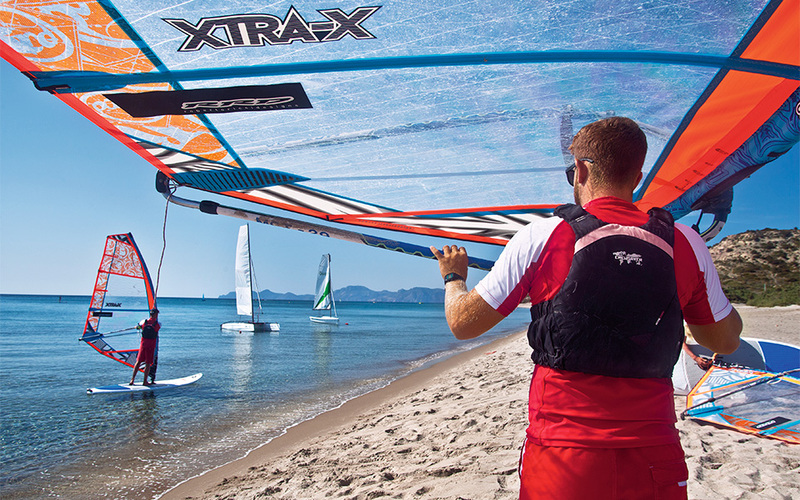 One of the oldest clubs in Greece is Windsurfers’ World on the bay of Ixia which has been operating for three decades. According to the club’s instructors, the bay offers a range of conditions suitable for all abilities. Specifically the in the morning the winds tend to be lighter and the sea flatter creating the perfect conditions for beginner and intermediate lessons. As the day progresses the wind customarily strengthens, peaking in intensity in the afternoon when the bay becomes a playground for freestylers and freeracers. One of the lesser-known windsurfing destinations, and somewhat harder to get to than more popular islands in the Aegean, Limnos is nevertheless a fantastic windsurfing destination. Located in the northern Aegean, the prevailing northerly winds tend to be warm and strong, blowing steadily from midday until late in the afternoon. The beach of Keros is the prime surfing spot with Keros Surf Club offering lessons and equipment rental. Here the size and angle of the bay in relation to the wind creates conditions for all abilities, from beginners to wavesailors. Near the northeastern end is the beginners’ area where the water remains relatively calm, while at the opposite end waves create fun jumping and riding conditions. (The two ends are only a 5 minute drive from one another). The club offers high quality 2017 boards and sails and has a lifeguard crew is on hand to assist sailors who get into trouble. The truth is you don’t even need to head to the islands to get out on the water as the coast around Athens offers a number of sailing spots and surf clubs. On the south coast of Athens the meltemi winds blow offshore creating flatwater / freeracing and freestyle conditions. While the wind here is not as strong as it is out in the Aegean, when the northerlies blow, they still regularly reach 4-6 Bft. In Varkiza Yabanaki Beach Park has a watersports center which offers windsurfing lessons and equipment rental from a small but well maintained stock of boards and sails. The center offers a range of other watersports as well from waterskiing to wakeboarding and inner tubes. Yabanaki also has a full suite of amenities from restaurants to children’s play areas making it a good choice if one is visiting the beach with non-windsurfing group. 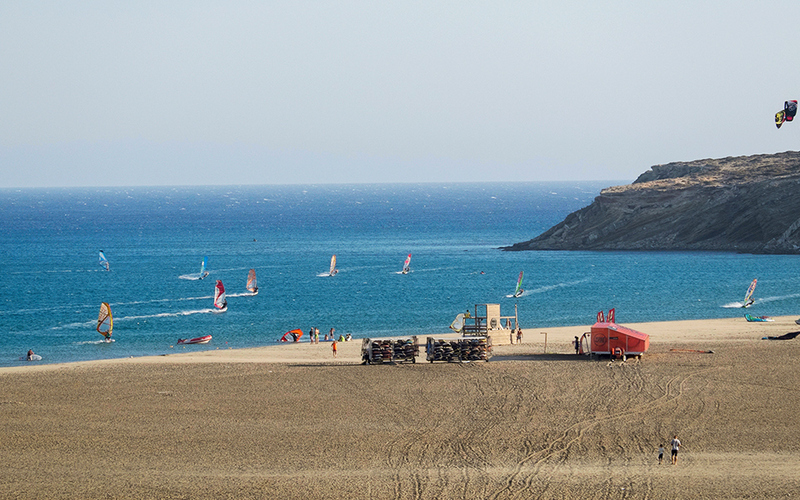 A little further down on the same bay is NAOVV – the local sailing and windsurfing academy which also offers windsurfing lessons and has some boards and sails available for rent (although it is best to call ahead to book a lesson – Tel +30 210 8974305). Further down the coast, the bay of Anavyssos is also a popular windsurfing spot with the Kouros Surf Club offering board rentals and lessons. The northerly winds blow relatively steadily here and the bay is closed offering a sense of security. However be advised that, particularly on the weekends, the water can get very busy. On the northern coast of Athens the area of Artemida (Loutsa) also has a number of clubs. The most well-known is Nissakia, which is located at the tip of a narrow point of land, separated from a small islet by a stretch of sea and shallow reef (with rocks and sea-urchins – watch out!) Here the wind is typically stronger than on the southern coast and blows cross-shore. Upwind of the reef the waves are larger making for bump-and-jump conditions (and occasionally limited riding), whereas downwind of the reef the water is flat and suitable for beginners and freestylers. The area is also very popular among kitesurfers (especially when the winds are lighter) and can get crowded. The club offers equipment rentals and lessons although options are relatively limited. For beginners and intermediates really looking to improve probably an even better option is the Tony Frey Windsurfing Club. Located a bit further down the coast from Nissakia, former PWA windsurfer Tony Frey is second to none in the quality of teaching, cheerful energy and ability to motivate even the most timid of windsurfers. The water in front of the club is relatively flat and shallow with a sandy seabed making learning safe and comfortable, and the wind is usually side-shore making getting out and coming back a relatively simple affair. Further out the waves get bigger making for fun bump-and-jump conditions for the more experienced. Finally on the northern coast of Attica, on the beach of Schinias near Marathon, the club Moraitis Beach offers a full range of watersports including windsurfing rentals and lessons. While Andros is among the Cycladic islands buffeted by the meltemi winds, the island does not have a highly developed windsurfing scene similar to Paros or Naxos. On the wilder eastern coast, the bay of Korthi has traditionally attracted windsurfers but today there is no organized club offering equipment rentals. However in the bay of Kipri on the western coast, the Wesurfin’ Club has been offering rentals and lessons for the past five years. The club may not have as long a history as others in Greece, but it is run by some of the most experienced windsurfers in the country – George Fragos, Nikos Skordos and Akis Chrysochou, all professional athletes who have competed and won medals in top-level domestic and international windsurfing competitions. Throughout the year the three coaches train the new generation of athletes aspiring to repeat the achievements of Olympic gold and silver medalist Nikos Kaklamanakis. During the summer the winds in Kipri blow offshore, creating good conditions for learning on flat-water, and beginners and intermediates can benefit from the experience and enthusiasm of this top-level coaching team. The club also has a great little beach bar for chilling out after your windsurfing session. Located in the southeastern Aegean, Karpathos has some of the strongest and most reliable winds in the country so it is no surprise that windsurfing is by now well-established. The location with the best conditions is Afiartis near the southern tip of the island where several organized surf clubs operate only a few minutes away at the airport. Ion Club Karpathos operates two surf stations relatively close to each other. The first is on Chicken Bay where the protected bay, flatter waters and less powerful winds create conditions good for beginners. The more experienced head to nearby Gun Bay where true high-wind windsurfing is on offer with winds that regularly pass 7 Beaufort. It is not by chance that the area has hosted world speed racing competitions in the past. Lefkada is located in the more sedate, in terms of wind, Ionian Sea meaning that windsurfing on the island is not reliant on the meltemi winds of the Aegean. Instead the island – and specifically the southern bay of Vassiliki – has Eric. That is how windsurfers have come to call the local thermal wind that rolls into the bay on most summer days in the early afternoon, often building to 4-6 Beaufort. The wind is a product of the island’s geography: the relatively light prevailing wind rises up Mount Stavrota of Lefkad, then cools and is funnelled down into the bay. Often when elsewhere on the island there is only a light breeze, in Vassiliki it is howling. Eric’s reliability has led to the bay of Vassiliki becoming a hotbed of windsurfing and other sailing antics with numerous clubs offering. The most famous of these is Club Vass which has been operating since 1987. The range of conditions makes the bay perfect for all levels of windsurfing abilities. Beginners tend to head out in the morning when only a light breeze is blowing. Then when Eric makes his arrival, intermediate and expert freeracers and freestylers head out, with the latter pulling off impressive moves. The club is also renowned for the professionalism of its coaches. After a full day of blasting around the bay, sailors can relax, eat and party at the areas many tavernas, cafes and bars. Many clubs operate across Kos thanks to the island’s reliable and steady winds. The most famous locations are Mastichari, Kefalos, Aghios Stefanos, Psalidi and Lambi, and as in most of the Aegean, the winds are strongest in June, July and August. On the southwestern coast of the island is Kefalos Windsurfing & Sailing located right in the middle of the bay. Predominantly cross-offshore winds create a flat-water sailing area good for intermediates and beginners in the morning, and freestyle tricksters and speed hounds later in the day when the wind picks up. 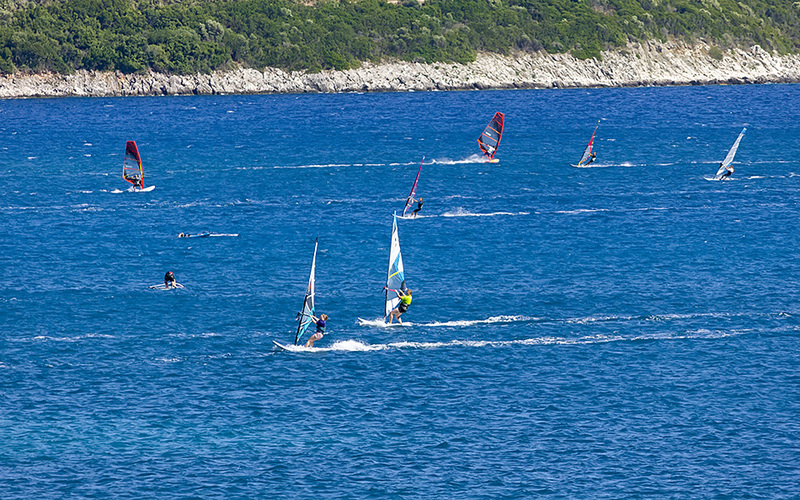 For a pure windsurfing holiday, Irakleio is probably not the best destination, but if you are in the area anyway and want to get out on the water, there are a number of options. 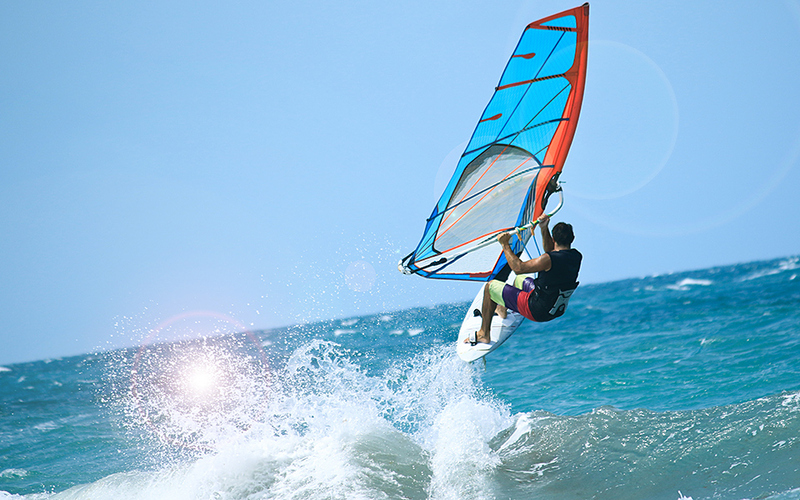 Windsurfing centers are located in a number of well-known resort areas in the region of Irakleio (aka Heraklion) in Crete, chiefly on the northern shores where the wind is strongest such as Amoudara, Hersonissos and Malia. 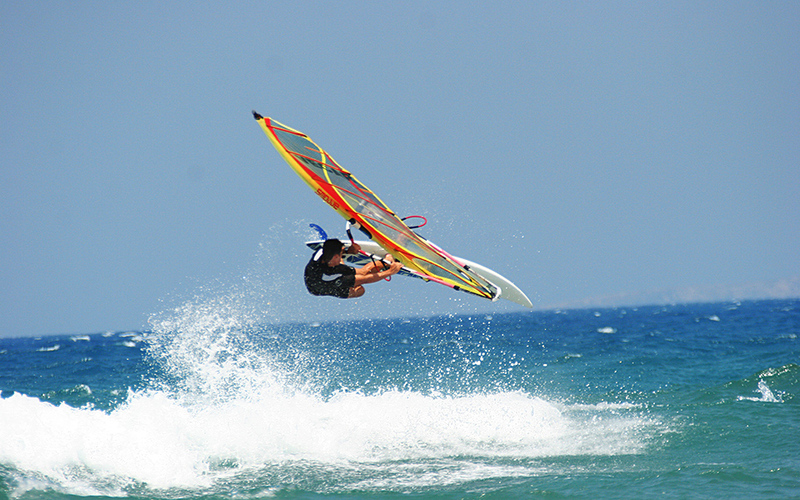 Heraklion Windsurfing Club is located on the beach of Amoudara which is only 4km from the center of Heraklion. The club is a non-profit organization which does not rent equipment by itself. However lessons can be arranged. The beach is located to the west of the city, and when the meltemi blows, it is hit by northwesterly winds. Most mornings the wind is light and then it picks up to reach a peak of 4-5 Beaufort at around 16.00 pm.